You’ve heard about recycling paper and plastic, but did you know you can recycle your mattress, too? Americans dispose of up to 20 million mattresses each year according to industry sources, adding as much as 800 million cubic feet to landfills. That’s a lot of springs and foam! This is especially problematic at a time when many cities and states are grappling with mounting trash heaps and dwindling landfill space. Mattresses also pose ongoing problems after they’ve hit the trash heap. The burgeoning recycling industry and states pressured for landfill space have been making mattress recycling a priority in recent years. Learn why you should recycle your next mattress and how to do it. Landfills are already overflowing, and there is a finite amount of trash they can hold. The average American discards about 1,600 pounds of trash per year, and mattresses take up a lot of space, with each bed occupying 20 to 60 cubic feet. Recycling your bed can help reduce your carbon footprint, and helps existing landfills last longer. When old landfills become too full, we have to make new ones, further encroaching on animal habitats and reducing space that could be used for other things for many decades to come. Several urban areas simply do not have the empty space. 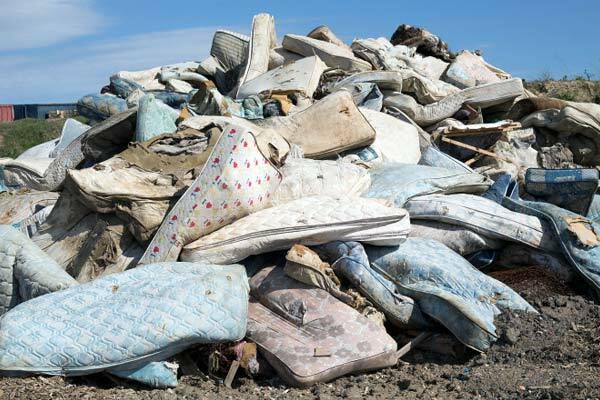 Mattresses pose problems once in the landfill as well. Chemicals in some materials can leach out into the surrounding soil and groundwater. 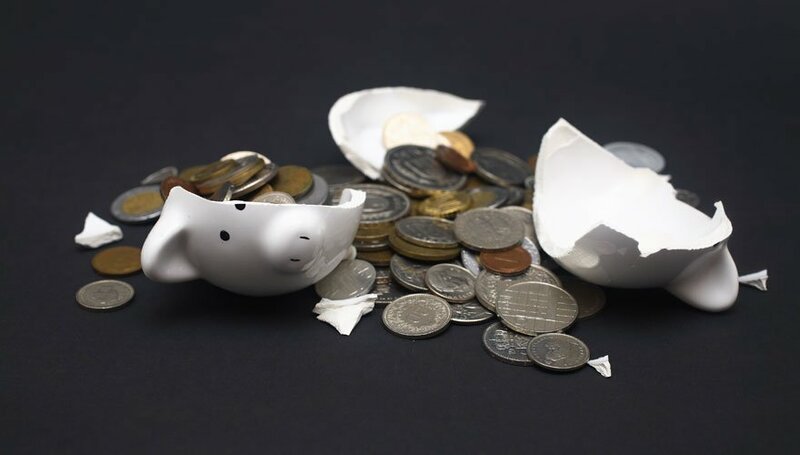 Fees are minimal, usually under $15. Many city landfills and mattress retailers charge much more for mattress disposal (often $20 to $50 or more). Several recycling programs are run by non-profit groups as well that offer social benefits to many local communities. Another good reason? If you live near a mattress recycler or have a community program, it’s also easy. All you have to do is drop the mattress off (some will even come pick it up). Mattress recycling involves taking apart the components of beds and reusing them in other applications. It is different then mattress refurbishing or renovating, which involves reupholstering and reselling the bed. 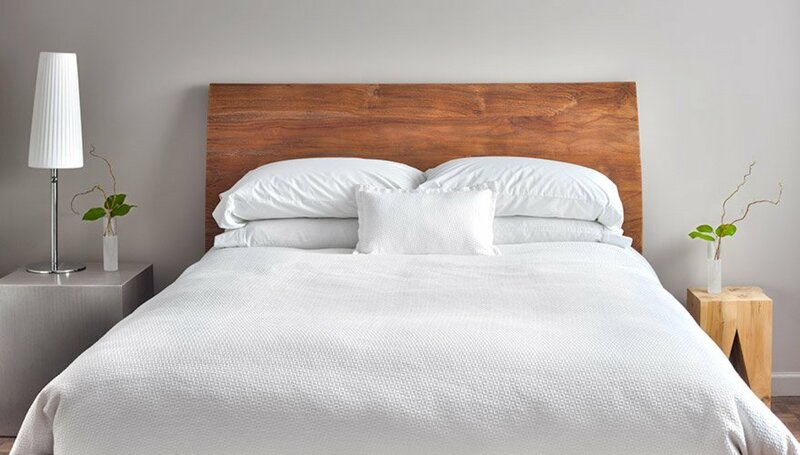 Most materials in a mattress can be repurposed once a bed is deconstructed (about 85-90%), and enterprising entrepreneurs are constantly developing new ways to use old bedding. Springs & Coils: Metal can melted and made into new items. 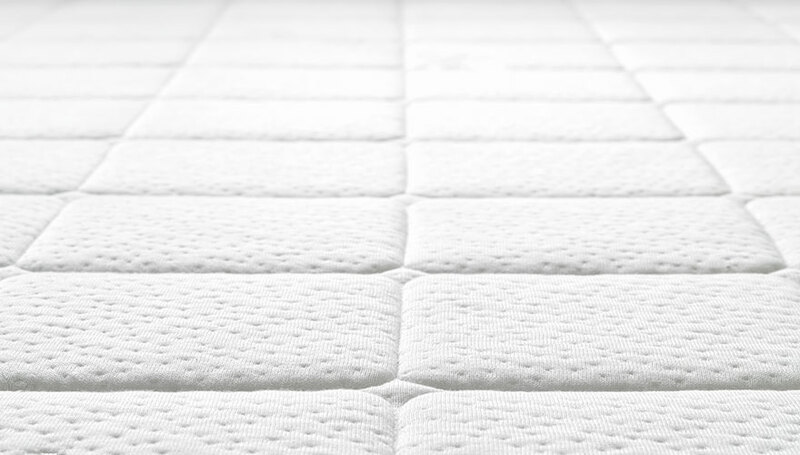 Foams: Mattress foams can be shredded and used in carpet padding , moving pads, and as a fuel source. 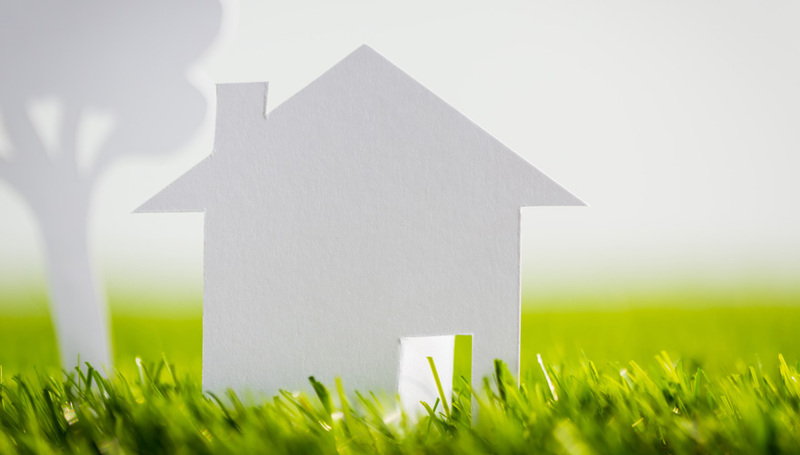 Fibers: Cotton and other fibers can used in filters, insulation or burned for fuel. Fabrics & Upholstery: Can be reclaimed for use in other items. Wood: Can be chipped for mulch or burned for fuel. Currently, there are over 50 mattress recycling facilities in North America, and their numbers are growing all the time. Earth911.org maintains a directory of facilities, so you can see if there is one in your area. Simply search “mattresses” and your location. The International Sleep Products Association also hosts a list of mattress recycling facilities. 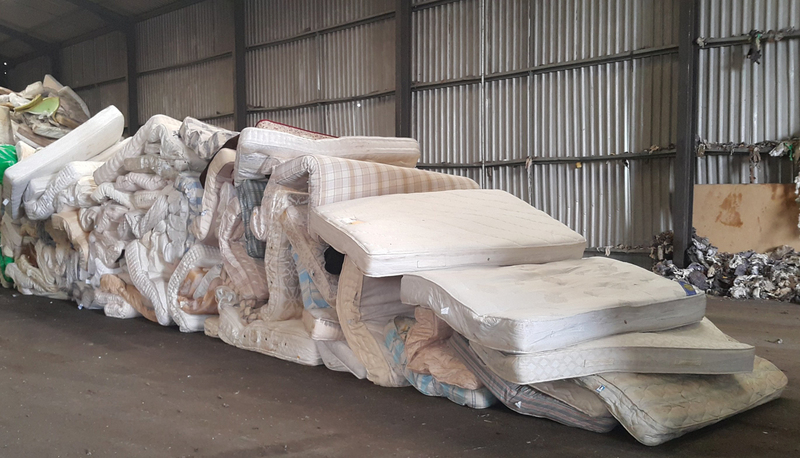 Some mattress recyclers only accept beds from retail or manufacturing partners, but many allow individuals to drop off beds or will pick them up for a small fee. Many cities also have annual mattress recycling days or community drop off locations. If you are buying a new bed, you can also see if your retailer partners with any mattress recycling programs. If your mattress is still in good, clean condition and simply wasn’t right for you, there’s a good chance you can resell it for a small amount. Local classified ads, garage sales, and Craigslist are excellent places to find a new home for your mattress. Recycling plants aren’t the only places that accept used beds. Other places like furniture banks, homeless shelters and domestic abuse shelters may also welcome beds that are still in decent shape. For example, near Amerisleep in Arizona, we found five places on Earth911.org that accept used mattresses including non-profit thrift stores and a furniture bank. DonationTown.org is another excellent place to find local places in need of mattress donations. Mattresses in less than perfect shape (but still sanitary) may be useful to animal shelters or there may be local people that recycle bed parts for art and other projects. Craigslist or Freecycle are good places to list a free mattress for pickup. Some recycling plants may not accept complete mattresses, but they may very well accept the components if you break them down yourself. If your bed has coils, they may even pay you a little cash in exchange for the metal. While wood and springs can be recycled or sold for scrap, padding and foams can be used to stuff throw pillows, make pet beds or refurbish seating cushions. Fabric scraps can even become rags or be used for stuffing and other projects. Soon, several states including Rhode Island, Connecticut and California will actually require mattress recycling, subsidized in part by mattress manufacturers, retailers, and a small fee when new beds are purchased. A few other states have plans in the works as well. As mattress recycling becomes more financially feasible and uses are created for the materials, the idea of recycling rather than adding to landfills only going to continue growing, which is big benefit for the environment. So, next time you buy a new bed or need to get rid of an old one, keep recycling in mind. 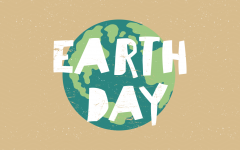 You can sleep a little easier on your new bed knowing you helped conserve vital resources, reduce pollution, and extend the life of existing landfills, plus, mattress recycling is cheap and pretty easy, too. Have you recycled mattresses in the past? Did you reuse your mattress another way besides recycling it? P.S. 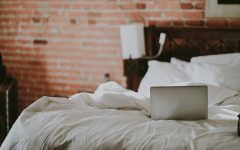 If you liked this post, you might also enjoy The DIY Guide to Reduce Fatigue & Excessive Sleepiness or 7 Common Sleep Myths Debunked By Science.